The Coach’s picks are in! 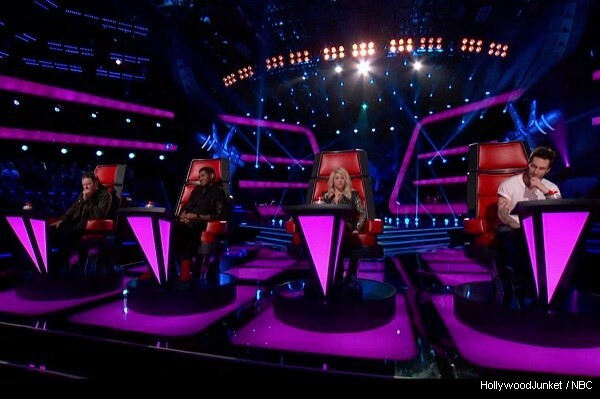 See who’s on who’s team “The Voice” season 4 – Team Shakira, Team Usher, Team Blake and Team Adam. 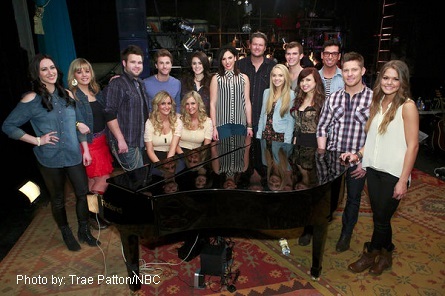 PLUS a sneak-peek of “The Battle Rounds”- Pictures & Videos ENJOY! 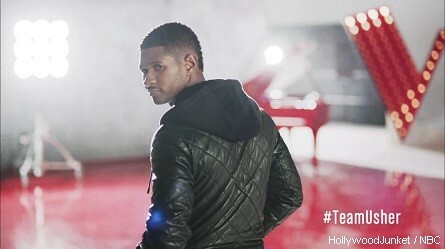 Starring; Shakira, Adam Levine, Blake Shelton and Usher. 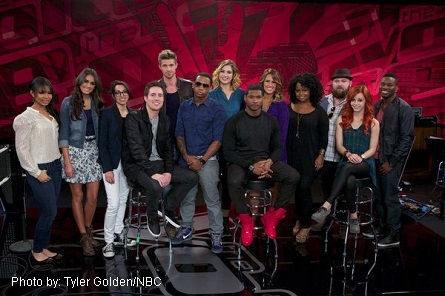 Meet THE Voice’s Season Four Teams. Young Mary Miranda from Cuba sang a Selena song and got the attention of Shakira first, then followed by Usher and Blake. Mary sang the song in Spanish. Blake reacted, “No one can understand anything that I say either. I think you’re awesome. 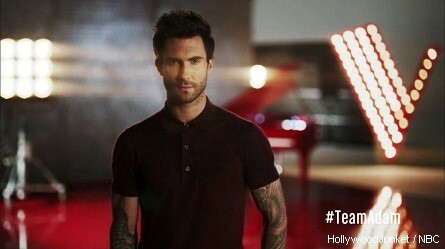 I have to think of some way to get you into the in zone,” Blake said. 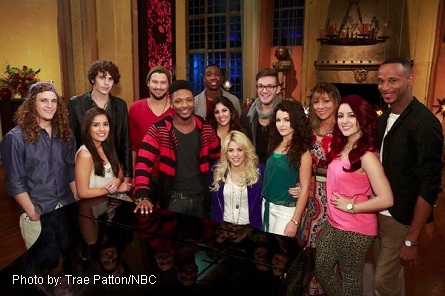 Mary ultimately chose to be on Team Shakira. Grace Askew selected Team Blake. Blake said she has a blend of country and blues. 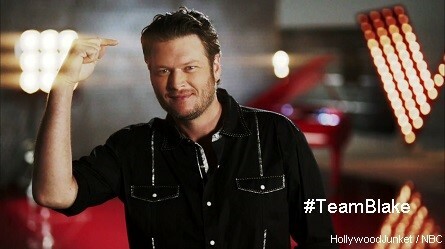 “I think she’s a serious weapon that’s going to be a thorn in these mentors’ sides,” Blake said about Grace. 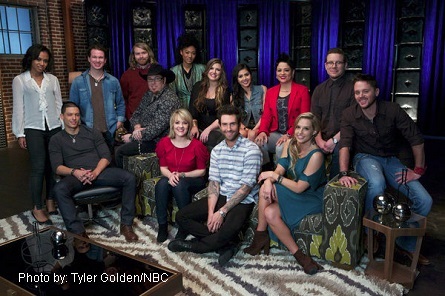 Pictured: (l-r) Back Row: Sasha Allen, Patrick Dodd, Ryan Hayes (Midas Whale), Michael Austin, Judith Hill, Sarah Simmons, Agina Alvarez, Karina Iglesias, Jon Peter Lewis (Midas Whale), Warren Stone; Front Row: Duncan Kamakana, Amber Carrington, Adam, Amy Whitcomb.